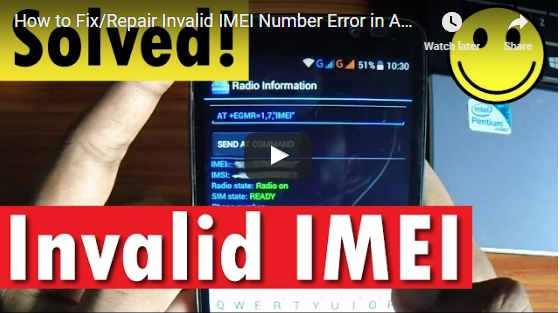 If you having problem with your IMEI Issue in Android phone then don’t worry, gourav is going to show how you can do to fix this problem. This type of error occurs as the result of resetting your Android phone multiple times or Custom root your phone or sometimes it happens while you are installing custom recovery in your Android phone. , well, gourav is having the same problem as you are and a lot functions in the phone just go wrong and both SIM slots were showing INVALID IMEI. Now please watch the video below to find out exactly how to fix such error.